Tuck Shop Trading Co. Toques Take Off In Ottawa, Montreal, New York, Eh? Their toques been spotted on celebrities including Lena Dunham, Method Man and Cara Delevingne. And now, Toronto's Tuck Shop Trading Co. has expanded across North America in time for the holiday season. The company, which launched last year, specializes in "ready-to-wear" fashion including branded toques that allow people to show off their local pride as part of the "City of Neigbourhoods" collection. In Toronto, for example, they have toques that allow wearers to proudly display the names of neighbourhoods such as Forest Hill, Parkdale and Roncy (or Roncesvalles). "It’s a simple idea and those are the ones that take," founder Lyndsay Borschke told The Globe and Mail last month. 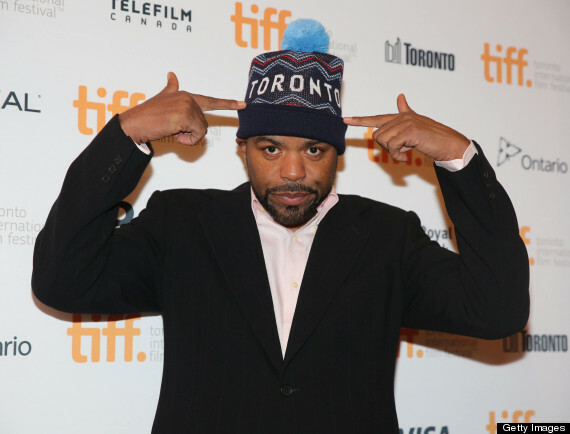 The brand received a major boost earlier this year after model Cara Delevingne and rapper Method Man were spotted wearing its toques during the Toronto International Film Festival, the Globe said. "Girls" creator Lena Dunham later put one on for an eTalk interview in September (see video above). The toques' popularity has only grown since then. The Tuck Shop Trading Co. started expanding into cities including New York, Los Angeles, Montreal and Ottawa this past fall, according to its website. Residents of the nation's capital can now obtain toques representing 10 of its neighbourhoods at Sporting Life, The Ottawa Citizen reported last month. Meanwhile, its Montreal collection has toques with names of neighbourhoods such as Outremont and Hochelaga, while the New York line allows residents of Greenwich Village, Tribeca and other areas to show their local pride. And who knows where the Tuck Shop Trading Co.'s toques will end up next? "We could do every neighbourhood around, but it's not really interesting or why Lyndsay thought of City of Neighbourhoods in the first place," general manager Andrew Pigott told the Citizen. CORRECTION: An earlier version of this story erroneously stated that Tuck Shop Trading Co. had struck a deal with Fairfax Financial Holdings. It was, in fact, Sporting Life that has a deal with Fairfax.